All our Venetian Blinds are made to custom fit your windows. Call us for professional advice on the ultimate ideas to maximize the potential of your home. Venetian Blinds are made from aluminium, timber or PVC (timber-style). Aluminium Venetian Blinds are a stylish 25mm wide window covering that will complement any decor, with availability in a range of colours. Timber Venetian Blinds are a quality product available in 50mm wide slats with five different stains to add that premium look to your desired room. 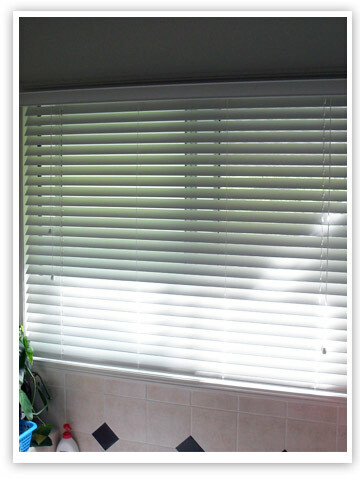 PVC Venetian Blinds offer a fashionable timber-style look at a reasonable price. The PVC Venetian is ideal for bathroom, toilets and other wet areas. PVC timber venetians have 50mm wide slats and come in 3 colours.